Let's be honest. The days of pensions promising you yachts, desert islands and dancing girls in retirement are long gone. What they can offer you though is the chance to keep doing the things you love now, when you do eventually pack in the nine-to-five. 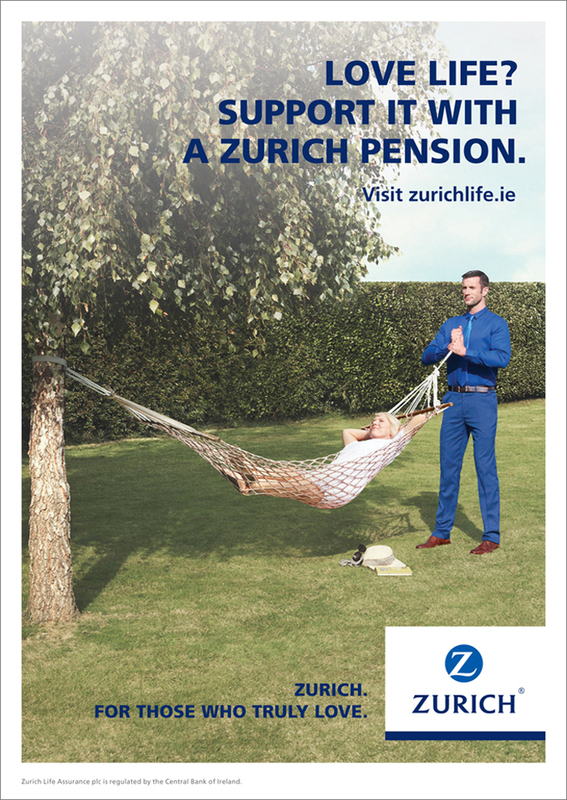 An idea conceived internationally, solely with home and motor insurance in mind, this campaign required a rethink on how the concept could be applied, translated and adapted for the Irish market and Zurich Pensions. 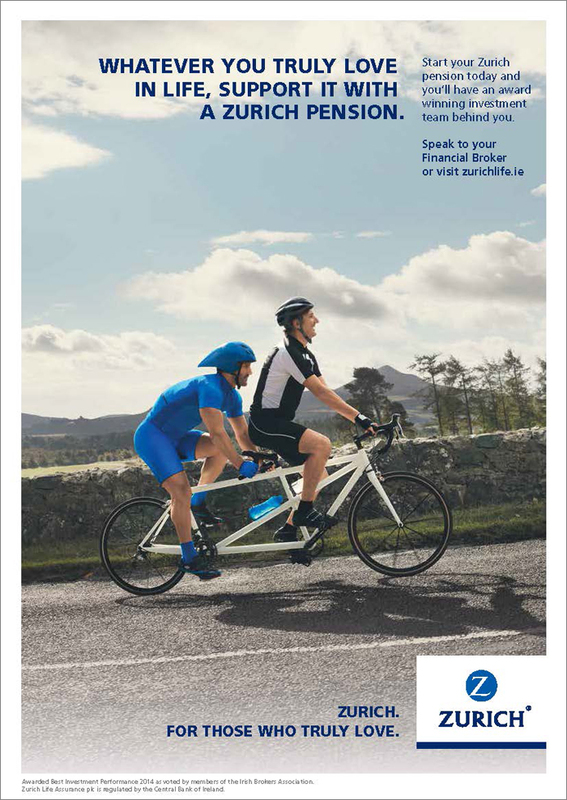 As well as the TV commercial, the campaign included print, outdoor and radio.